Creating an account and getting started with SmartMusic is simple! Your student will need a valid email address, as well as a Class Code from their teacher. Be sure you have the latest version of Google Chrome, or the latest version of the SmartMusic iPad app. Enter a valid email and Class Code. Follow the prompts to create your account. Be sure to enter a backup email when prompted so that you can easily recover your student’s password if necessary. For more detailed steps and instruction on this process, visit our Help Center. Set up a high-quality recording environment that is quiet and has room to perform. Open the assignment from the “Pending Assignments” deck on the Home page and read the instructions. Select the record button and follow the on-screen instructions. Calibrate the microphone, making sure to unplug your headphones and turn up your computer speakers so that your microphone can hear the test tone. Review. Students can also send a comment to their teacher with the recording and assessment. For more detailed steps, visit our Help Center. If you or your student are having trouble creating an account, completing an assignment, or using SmartMusic, our support team is here to help. You can find articles, tips, and information in our Help Center, or contact us directly by submitting a support ticket. You can also access help articles by selecting the question mark icon in SmartMusic. 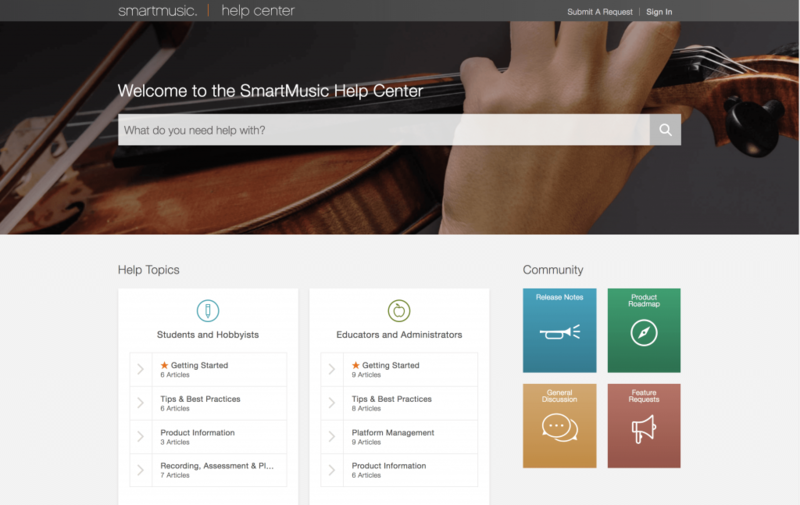 If your student has a premium SmartMusic subscription, they can explore the entire library and access any piece of music. Students can search for music to play directly on the homepage, or select the Navigation Icon in the upper right and choose Find Music. 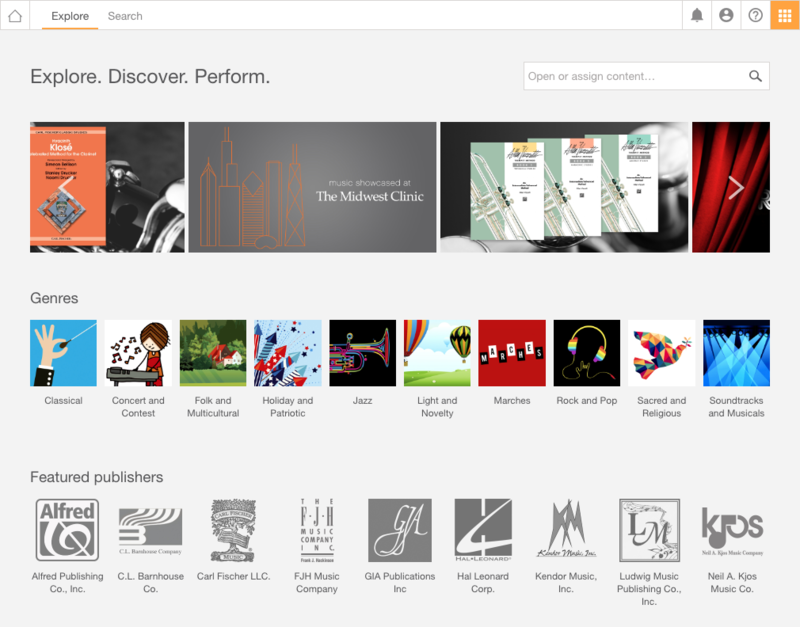 Within Find Music, students can explore featured categories and genres, or use the search function and filter results by title, publisher, composer, instrument, and genre to find a specific piece. Parents can upgrade their students’ subscriptions directly in SmartMusic, granting access to the entire library. Learn more about premium subscription pricing.